If you happen to be around Sunday nights around 9-9:30 CST, you’d know that that’s when the Dads Drinking Bourbon go live on Instagram and have epic throw downs. We hope you join us for one of these (insert shameless plug for @dadsdrinkingbourbon). Previously, we have pinned William Larue Weller against Thomas H. Handy and George T. Stagg against Stagg Jr. So who are the contenders? 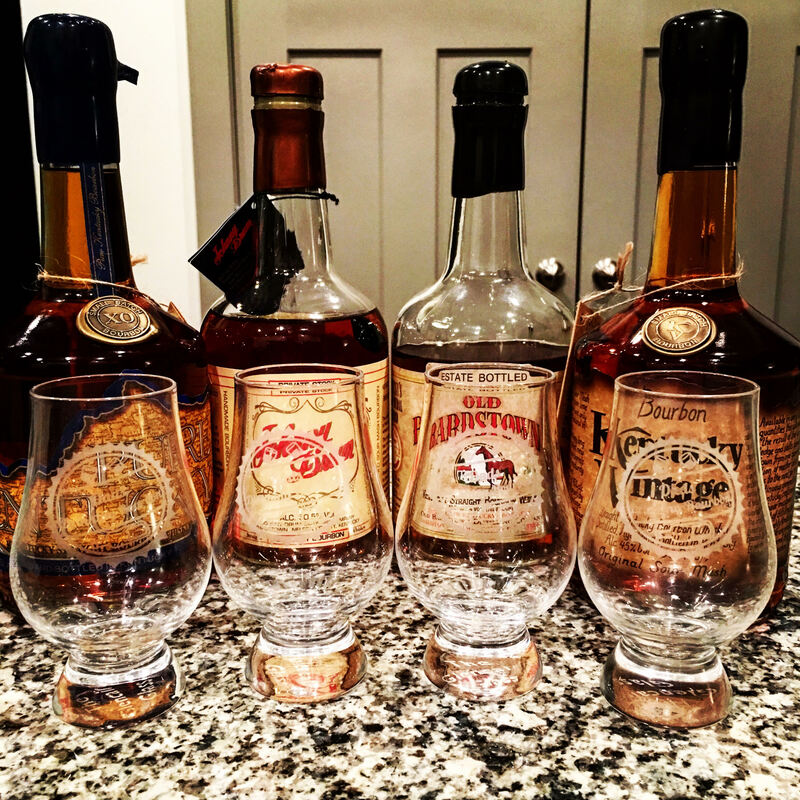 These are four bourbons that are all sourced by Willett but are all strong in their own right. Kentucky Vintage is the smallest of the group coming in at 90 proof, $29, and no age statement. however, we do know that it is “straight” bourbon, so we at least know it’s four years old but it’s been hinted to be around 10 years old. Johnny Drum packs more of a punch at 101 proof, $29, and also no age statement. However, there have been previous versions (worth a lot more) that have an age statement at 15 years. This is another “straight” bourbon so you know the deal. If you’re curious what it means to be a straight whiskey, you should visit this link. Old Bardstown Estate Bottled is also at 101 proof, $29, and no age statement but a “straight” bourbon (are you sensing a pattern?). Last but not least, we have Pure Kentucky XO, coming in at 107 proof, $29, and no age statement but a straight bourbon. The XO in this heavyweight means it’s “extra old” and the age is estimated to be around 12 years old. Before we go into this, we should start off by saying that only one bourbon can walk out of the ring with the belt, but all of these bourbons are pretty strong contenders under $30. The value is there for any of these if you see them, and you won’t be disappointed with the taste. It is for that reason that we decided to put these together in the ring. DING DING DING let the match begin! John: It’s okay, but other than that I really didn’t get much from this one. I mean I don’t hate it, but it doesn’t have much of a taste to me. John: This one is like a spicy leather with a hint of citrus/floral tones. I like it. John: I get an oaky almond caramel taste with this one. It definitely packs enough punch that you know it’s there. So far , this is my front runner. John: This one was okay with tobacco and caramel for me. It was very smooth for a 101 proof bourbon and was quite an enjoyable experience. Zeke and I can both agree that Pure Kentucky XO took this one easily. However, I really did enjoy the taste of Old Bardstown Estate Bottled and may switch that one in for first place depending on my mood. Either way, we hope that we showed a spotlight on some bourbons that may be a really good value and an enjoyable experience. If you have come across these in your local and have walked by, maybe it’s time to pick one up? What are your thoughts on these four?